“I really love how easy it is to access the iPads…. and with the baskets, we can hand them out really easily”. 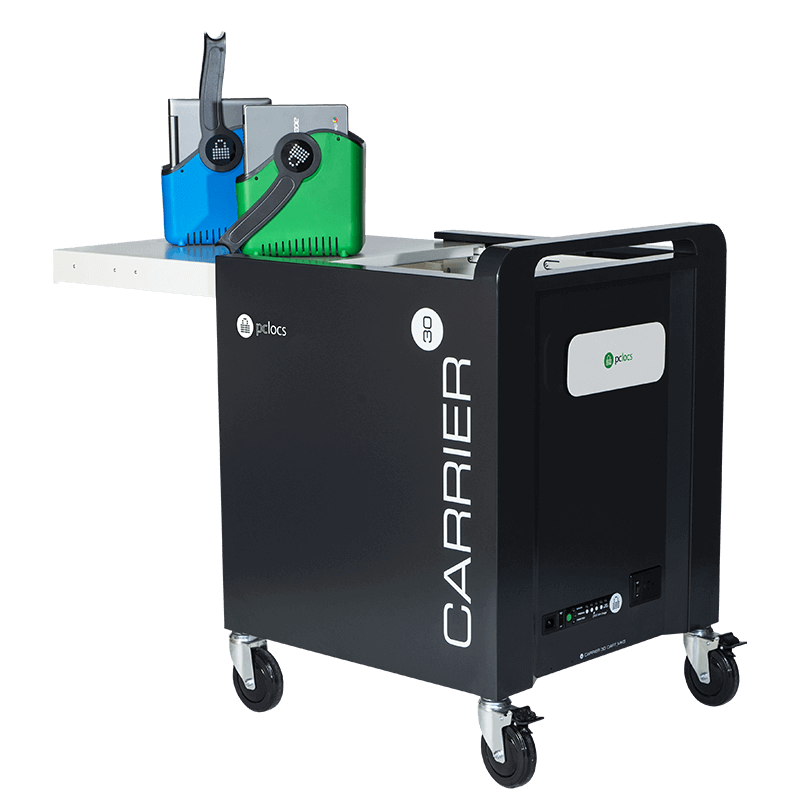 Introducing the all new iQ 30 Cart. The ultimate solution for managing iPad deployments. It can sync, charge, store, secure and transport up to 30 iPad, iPad Air and iPad mini devices. Click here for more information. 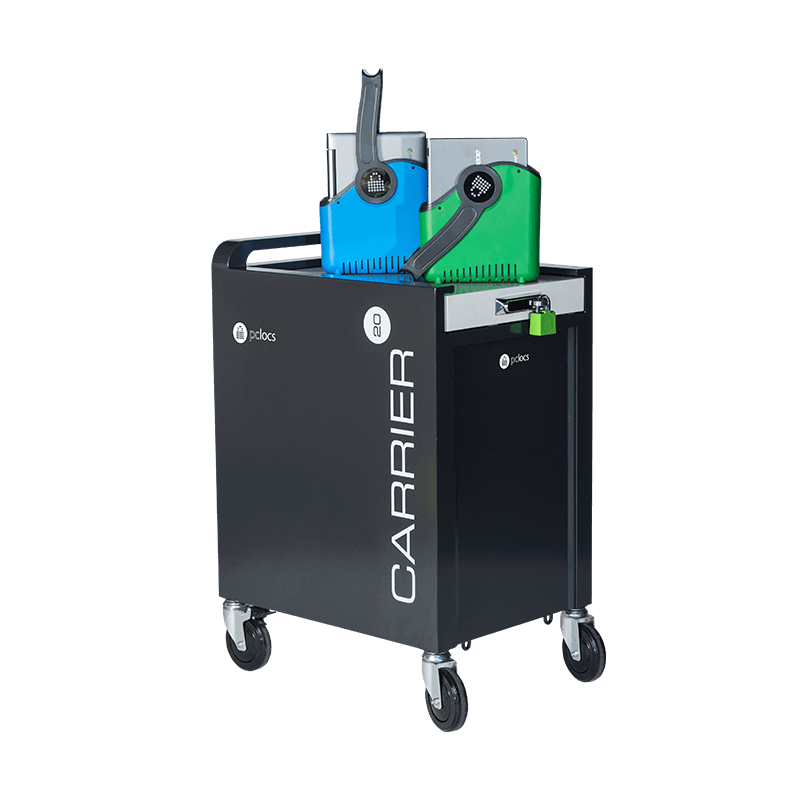 Simplify the use of iPad devices in your school and organization by implementing an iQ 16 Cart to your iPad program. 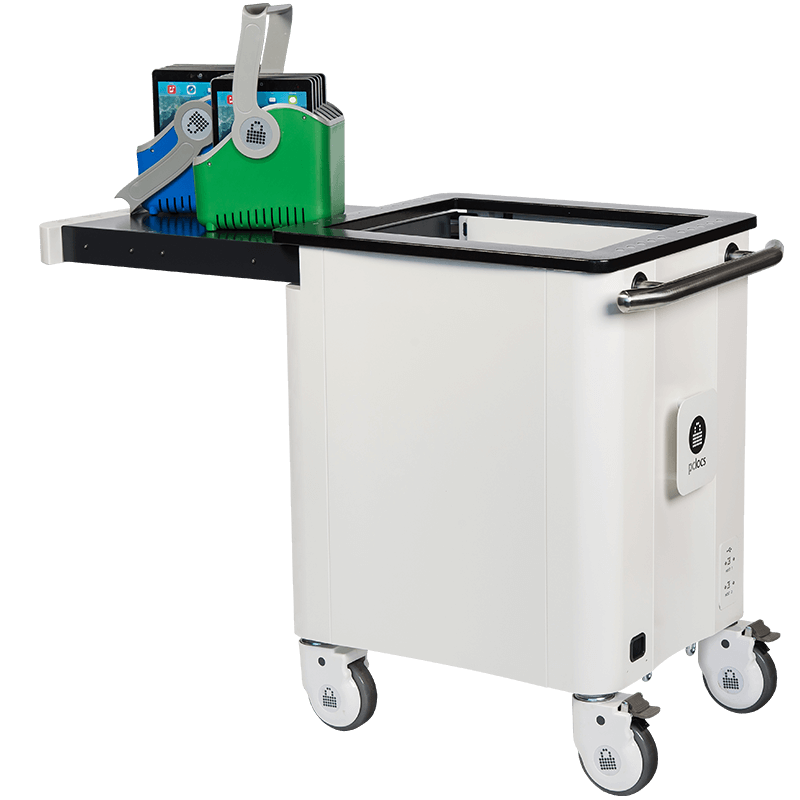 the iQ 16 Cart by PC Locs Technologies can sync, charge, store, secure and transport up to 16 iPad devices. 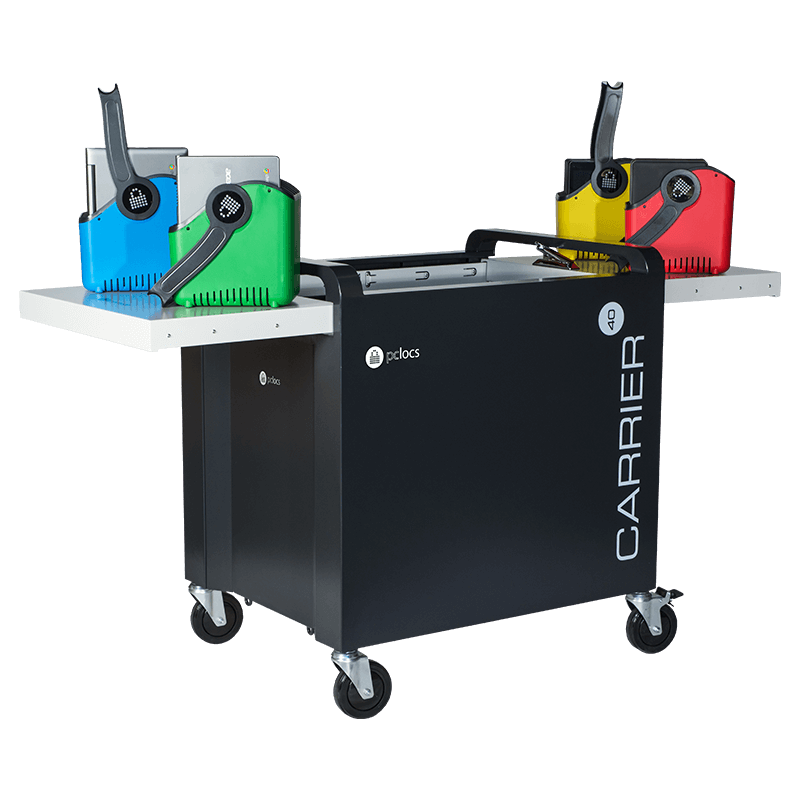 PC Locs…it just makes life easier. Managing large sets of iPad devices has never been easier. The iQ 16 Sync Charge Box™ is a hand held USB hub that can sync up to 16 iPad, iPad Air, iPad mini or any iOS devices simultaneously. It can also charge using the full 2.1 amps required to charge iPad devices. 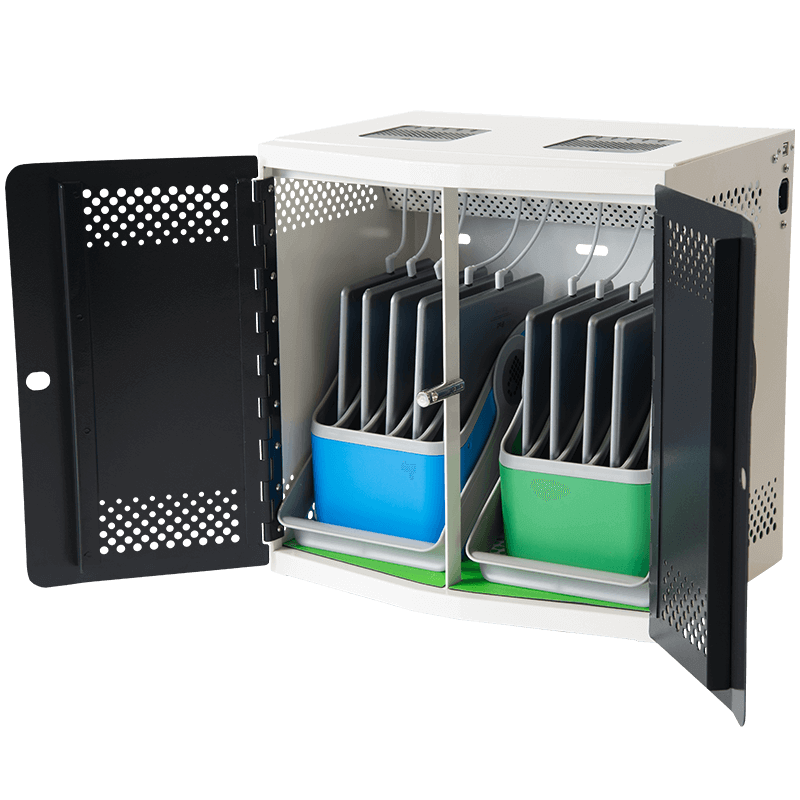 FUYL™ Cells are designed to individually store, charge and secure Chromebooks, Laptops, Tablets, iPad devices and other mobile devices. 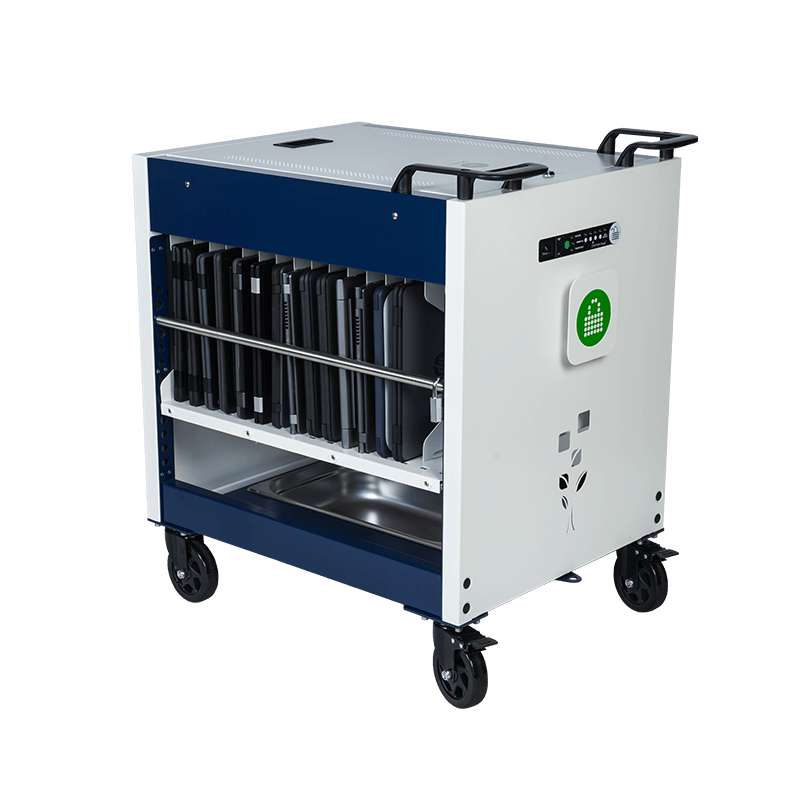 Each compartment in the FUYL Cell is equipped with two USB charging ports and a power outlet, meaning you can plug and charge almost any chargeable device.